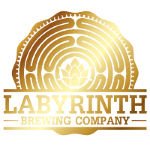 POA is the lucky recipient of $1,000 from Labyrinth Brewing Company’s brewing competition. The competition winner chose us as the beneficiary of the competition and we will be presented with the check! Come join us and support the local business who supports us!